Families often look forward to having their college student home for the winter break. While having everyone together again can be exciting, it’s important to remember that it can be difficult to fall back into traditional family patterns. While you may have ideas about how the family will spend the holidays, students are often anxious to try out their newfound independence. Your student has been living independently for several months, and fitting back into routines can be challenging for both sides. It's important to note that communication is key! I would like to share an article I read from College Parent Central entitled "Welcoming Your College Student Home for Break- What to Expect" that offers tips and suggestions to make the Winter Break transition less stressful for you and your student. In addition, we encourage you to speak with your student about school and their accomplishments over the past semester. Your student has come a long way in only a few months: be proud of their accomplishments, and also all the exciting opportunities awaiting them in the spring. As a reminder, GW will be closed for the holiday season from Monday, December 24, 2018 through Tuesday, January 1, 2019. In case of a campus emergency, contact the GW Police Department at 202-994-6111. We hope that you have a wonderful and safe holiday. We look forward to welcoming you and your studentback in 2019! 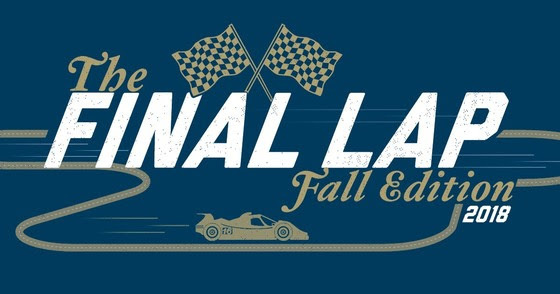 Encourage your student to take a break from studying and attend The FINAL LAP scheduled events. FINAL LAP is a week of de-stress events for GW students during the finals season. From GW's annual Midnight Breakfast tradition to FREE chair massages, the FINAL LAP provides a variety of ways for students to take a breath so they can be at their best for finals. Encourage your student to attend some Click here to view the full schedule of events. 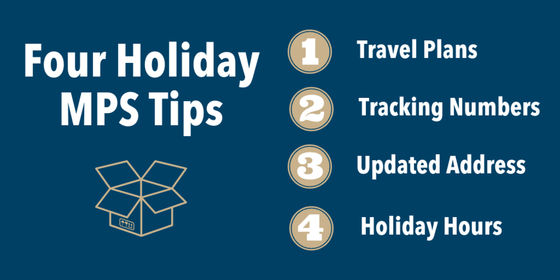 Your student should keep in mind the following tips from Mail and Package Services during this busy time of year. 1. Travel Plans. Please be mindful of travel plans and cognizant of delivery dates and slower mail delivery services when ordering online or requesting snail mail. A large number of packages and items of mail go through the USPS and other mail services during this time of year. Nationwide, it is the busiest time of year for mail and packages. 2. Tracking Numbers. 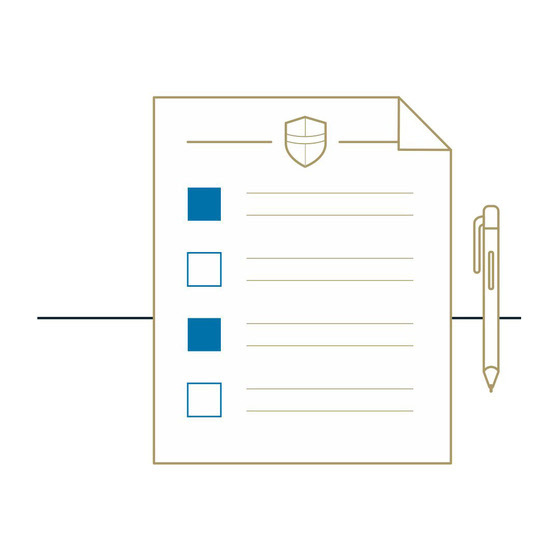 We always recommend that you send any mail or packages with valuables in a manner that includes tracking numbers to both protect your valuables and ensure the quickest possible processing here on campus. Any mail or package that is "accountable" (with a tracking number) is received and scanned into our system, thus immediately notifying a student via email of their package. It also allows you to know where your package is located at any given time! 3. Updated Address. If you are not returning to your same residence hall assignment (graduation, room change, study abroad, or other) for the Spring 2019 semester, please notify senders of your new address as soon as possible. Also, be sure to update Banweb so your address is up-to-date. 4. Holiday Hours. If you will be on campus during the holiday break, please make yourself aware of the abbreviated hours of operation for Mail & Package Services during the break. Later this month, hours for Mail & Package Services, as well as other GW services, will be posted on the GW Campus Advisories website. If you have additional questions, please contact [email protected]. Before your student leaves the George Washington University at the end of fall semester, they should take steps to protect themselves and their possessions while they are away. All students living in residence halls should make sure their rooms are secure to ward off potential thieves. Lock the doors and windows, and either secure or take any expensive items, like laptops or iPads, with you. Don’t leave anything valuable out in the open where someone might be able to see it. Although there are safety measures in place to assist with securing residence halls, these measures are only effective if they are implemented. A wallet stuffed with cash and gift cards can make you a target during the holiday season. With holiday shopping in full swing, opportunists often assume people are carrying more in their wallet this time of the year. Only bring what you need when you go shopping and carry your valuables where you can see them, like in front of your body or in a zipped bag. Students should add gift cards and credit cards to a virtual wallet if possible and reduce the need to carry cash. Use reputable sites such as Google Wallet, which has 24/7 fraud monitoring and a fraud protection guarantee. If your student is leaving campus to do holiday shopping around the city or to participate in any seasonal activities, go with a friend and let others know where you will be and what time to expect you back. If your student is still new to D.C. during the holidays, remind them to stay alert. If your student is staying in their residence hall during the extended break, they need to let GW Housing know. This helps GWPD keep track of who should be on campus and will give officers a heads up to pay more attention to your residence hall. Informing GWPD of your presence helps to quickly identifying persons who should not be on campus during the break. To stay informed on what is going on around campus, your student should download the GW PAL app on their smartphone. With the app you can check recent GW alerts, submit crime tips and use the “Arm” feature to call for help. The student-run free EMT service EMeRG will have limited service during the break, but GWPD will still be operating 24/7. For emergency police assistance members of the GW community can call 202-994-6111. Staying safe on campus is a year-round exercise so visit the Division of Safety and Security website for additional safety tips and videos. 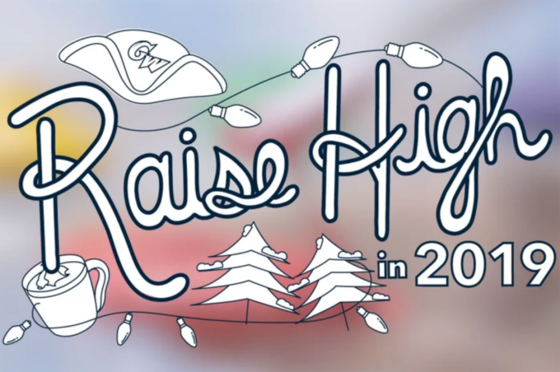 Click here to view the GW Holiday Video: Raise High in 2019, where students and student orgs, staff, faculty, President and Mrs. LeBlanc- and even George- stopped by the Marvin Center to help paint a mural to welcome the new year and to answer the question: How will you Raise High in 2019? Click here to view the Spring 2019 academic calendar which includes information such as the first and last day of classes, spring break, and commencement dates. 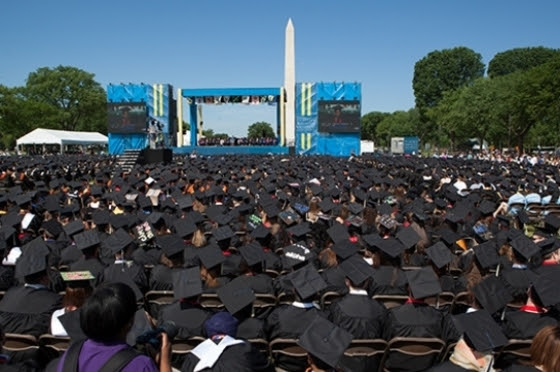 Commencement Week 2019 will take place from Thursday, May 16th, to Sunday, May 19th, culminating in the University Commencement held between the Washington Monument and Constitution Avenue, NW. Other university events will include individual school celebrations, the Interfaith Baccalaureate Service, the Phi Beta Kappa Induction Ceremony, and other special receptions. Click here to view the commencement schedule, accessibility-related services, transportation advice, maps, and more!